I’m happy to tell you that we now have a solution to all of your computer network and dental technology problems! R-Tech Dental of MN recommends Zak Spaniol and his staff of well train computer service technicians. If you are looking for a company that can service & repair your computer systems, take care of infrastructure cabling, and support Hi-Tech dental products such as intra-oral cameras and digital X-ray systems, then Sunset Dental Technologies is your solution. Below is a description of the services that SDT is able to provide. Call Zak and let him know that Mike Wiltrout sent you! SERVICE & REPAIR – SDT’s primary focus is Customer Service! We will answer your calls and we will be there on time. We service both Windows and MAC’s for your convenience. With our dedicated team of qualified engineers and project managers, we can address your on-going network maintenance, monitoring and management service needs. SDT specializes in HIPPA compliance, configuration and implementation — including complete technology consulting, sales, service and integration of servers, workstations, printers, patient entertainment, intraoral, digital radiography, panoramix systems, LCD arms, phone systems, professional audio and video systems and more. We are also experienced but not limited to the following platforms: DentiMax, Dexis, Schick, ViperSoft, EagleSoft, SoftDent, Practice Works, Dentrix, ImageRay, LightYear, Suni, Easy Dental. INFRASTRUCTURE CABLING – SDT can source, install and maintain all structured wiring per the ANSI/EIA/TIA standards to ensure performance at the appropriate level. All of our technicians are professional and a comprehensive warranty program that will protect your investment backs every installation. HI-TECH PRODUCT SELECTION – We are vendor neutral and offer advice on Digital X-ray Systems, Intraoral Cameras, and Digital Cameras. We also have significant experience with most Practice Managment and Dental Imaging Software. We can help you select the package that will work best for your office. You pick what suits your practice and we will take care of the rest. MAINTENANCE – SDT offers Maintenance Service Plans to fit your needs and most importantly, your budget. This provides the best and most cost-effective way for SDT to service your network of computers. EMERGENCY RESPONSE – We fully understand the importance of keeping your system and network running both day and night. In the event of an emergency we are there to help 24×7! Simply call our office at 612-701-6393 and we will address your service needs immediately. Q: I have been told that a DC type x-ray machine is better for taking digital x-rays than the AC type machine. What is the difference between a DC machine and an AC machine? A: The cheapest way to produce x-rays is to use the alternating current that comes from the power company to power the x-ray head. This alternating electric current changes direction in the wires sixty times each second. It also increases and decreases in intensity one hundred and twenty times per second. The effect of using this current is to produce x-rays that turn on and off sixty times each second. Further, the x-rays that are produced each begin too weak to use and grow to proper strength before they decrease again to being too weak. 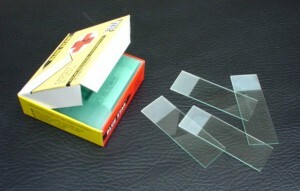 The design of the AC x-ray calls for filters of aluminum to eliminate the x-rays that are too weak to use. This ultimately leaves Sixty pulses of x-ray each some what shorter than one, one hundred and twentieth of a second long each second. The DC x-ray machine uses direct electric current to power the x-ray head. Direct current does not change direction nor does it change intensity. Direct current is a steady supply of power and consequently the x-rays that are produced are smooth and consistent. This smoothness of the DC x-ray machine produces a slightly better effect on the digital sensors than the AC x-ray machine. The foot control of your dental unit is a critical component in the proper operation of your operatory. While we are all aware that this round silver disk allows us to control the speed of the handpiece it is less commonly known the part it plays in proper handpiece water control. The foot control is supplied with a main ¼ inch air line that is regulated just below 80 pounds per square inch of pressure. This means that even though the pressure in the compressor tank can vary as much as 20 psi, up and down, there is always a regulated non-changing amount being supplied to the foot control. This regulated air supply is used in three ways by the foot control. First of all there is a main valve that opens in response to the pressure of the foot on top of the disk. As the disk is pressed harder the air supplied to the handpiece increases from 0 psi to a preset maximum of about 40 psi. This air is sent from the main valve back to the unit in a second ¼ inch air hose. When the pressure of the foot is removed from the disk the main valve shuts down and opens up quickly releasing the pressure that is going to the handpiece. If the main valve is sluggish the handpiece may continue to run for a few seconds before releasing the air. A properly working main valve will quickly make a “psst” of air when released and the handpiece should begin to stop immediately. The second and third ways that the regulated air is used involve the chip air and the water pilot air. Attached to the main valve in the foot control is another valve called the pilot air valve. The pilot air valve is designed so that even a small push on the disk will send a full pressure air supply back to the unit in a 1/8 inch hose to be used for the chip air on the handpiece. When the foot control is released the chip air from the pilot valve turns off and the pressure dissipates out the chip air hole at the front of the handpiece. The pilot air valve also supplies a full pressure air supply to a small toggle valve on the top of the foot control. This toggle valve is used to turn the water supply on and off to the handpiece. When the toggle valve is turned on the full pressure air is allowed to go back to the unit in another 1/8 inch air line where it pushes open another valve that is hooked up to water thus turning on the water to the handpiece. When the foot control is released the pilot valve quickly shuts down and releases the air pressure in this air line. It is important that the air be released quickly so as to minimize the amount of water that drips from your handpiece. If the pilot air valve is sticking at all, the water will continue to drip from your handpiece unit the pilot air valve resets and releases the pressure. The most common problems with the foot control involve air leaks and the sticking of the main valve or the pilot air valve. Your foot control should not leak air at all if you are not pushing it or if you are pushing it and holding it. You should only hear an air release for a brief second or two after pushing and releasing the disk. Test this by picking up the foot control and holding it to your ear. Now squeeze and hold the disk down with your hand. Little or no air should be heard to escape. Finally release the foot control and you should immediately hear the psst of releasing pressure. If the psst is delayed by a few seconds your control should be serviced. Finally any continuous leak from the foot control can be very hard on your clinic’s compressor. We have seen compressors fail due to a foot control leak. Do Electric Handpieces Need Oil? A couple weeks ago I received an excellent question that I thought I would share with everyone. Is it important to use an automatic oiler with the electric handpiece attachments? The oiling of the electric handpiece attachments is very important to make them last. We are referring to the 1:5 heads that are used to turn the electric motors into highspeed handpieces. The procedure, for oiling them manually, requires that we use an aerosol oil with a special adapter. KaVo recommends KaVo Spray Oil #0411.9650 and adapter #0411-9931. We begin by holding the handpiece in a paper towel and using the spray can and adapter, spray into the back for 2 or 3 seconds. Next the handpiece should be run for 20 to 30 seconds to blow out the oil before sterilization. The use of units like the Quatro Care or the Asistina do these procedures automatically. In the fast pace of most offices the Quatro Care and the Assistina save time and ensure that the job is done properly. Do not forget that there is no guarantee that the chuck that holds the bur will get oiled unless a couple of drops of oil are manually put in it at least weekly. How Does Your X-Ray Work? Have you ever wondered what is going on in your x-ray machine when it makes x-rays? Here is a brief and general explanation that you canuse to answer the questions of the young scientists that sit in your chair. The control box of the x-ray machine does two things. It takes the electrical power that comes from the power company and it controls it so that too much doesn’t get through. This part of the job of the control is called power regulation. The second job of the control is to start the x-ray and stop it in a set period of time. Just like a time keeper in a race the control turns on the switch that starts the x-rays and then after a brief measured amount of time it turns the switch off. The electricity that the control regulates and times on and off goes to the head of the x-ray where the actual rays are produced. The x-ray tube that is mounted inside the head is like a small dim light bulb with an extra piece of metal at one end. 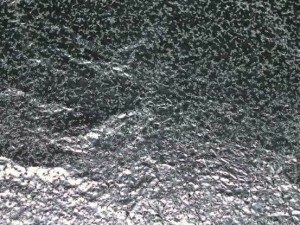 This metal is called tungsten and it has a special property. When tungsten is hit by a high energy electron it takes the energy of the electron and gives the energy back as an x-ray. When the electricity from the control arrives at the head it is split into two jobs. The first job is to light the small dim light. This will be where the electrons come from. 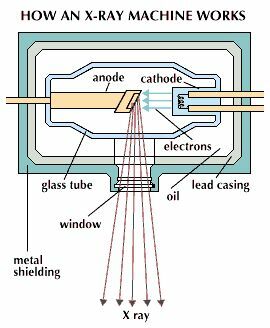 The second job is to produce an electric field that will give the electrons the high energy that we want them to have. In the typical dental x-ray the electrons leave the dim light and hit the tungsten metal with an energy of seventy thousand electron volts. The result is an x-ray with enough power to pass through flesh, bone and to a lesser degree teeth and still have enough energy to expose a film or be detected by a digital sensor. The rest of the structure of the x-ray head is for the purpose of absorbing all the stray x-rays and only letting the useful ones out through the cone. Effective April 2006, SciCan strongly recommends the water reservoir filter become a part of all Statim maintenance and repairs. The water reservoir filter will greatly reduce the occurrence of particles entering the water reservoir and help prolong the life of the internal components. Backward compatible with older units when a new cap is installed. Avoids splashing when pouring distilled water into the reservoir. 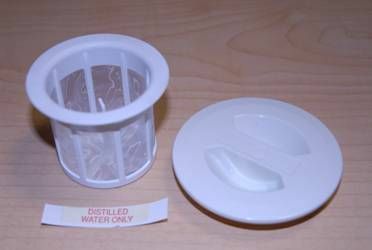 The filter is easily removable for monthly cleaning or when required, due to a clogged filter, by placing the filter upside down below running water. This filter is present in all Statim sterilizers mfd. after April 2006. The highspeed dental handpiece has been a work in progress since it was first introduced several decades ago. I was a young man when my dentist got his first Borden Highspeed handpiece. It was a shiny steel box with a black cord and slim handpiece that mounted to the tray arm of his Ritter (Gas Pump Style) dental delivery system. Up to this point my cavities had all been excavated with the belt drive slow speed handpiece that hung off the top of the Ritter. When the belt drive hand piece was applied to my tooth my whole head would vibrate. Even at the age of ten I was interested in machines so my dentist explained the operation of the highspeed to me. I was intrigued by the technology but most impressed that my head no longer vibrated when he cut out a cavity. Since my first introduction to the highspeed handpiece nearly 50 years ago no radical improvement in the basic technology has occurred. This is not to say that we have not seen improvements. The mechanism for holding the bur has gone from a friction fit in a plastic sleeve to a spring loaded push button chuck. The water spray has gone from a single hole to multiple spray jets with internal anti retraction. The mounting adapter has improved from a 2 hole screw on coupler to a 4 hole 360 degree swivel bayonet with a built in power optic light source. Finally the handpiece has gone from the dark to having a head light to shine on the prep area. Unfortunately no one has been able to come up with a better idea for spinning the bur than using compressed air and a small turbine. We have seen other ideas like the laser and the air abrasion machines but their costs and side effects have kept them from going main stream. Even the recent advent of the operatory electric handpiece with a highspeed head has failed to capture the market because of the cost and size problems. Each approach seems to have as many nuisance side effects as it has benefits. 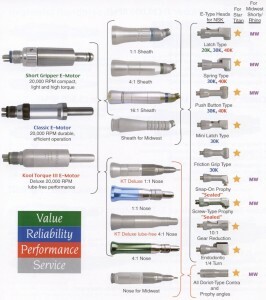 There is not a single one of you who could not write the specifications for a perfect highspeed handpiece. So why, if we can contemplate putting men on Mars, can’t we produce what each of us can so easily imagine. The fact of the matter is that the technology to build the perfect dental handpiece is probably tougher than putting men on Mars. Let’s for the fun of it take a quick look at what may or may not be possible in the near future. I believe that an external metal alloy will be found that doesn’t look bad after only a year or two. Some of the newer bodies are already approaching this. We will see very bright LED lights in the front of the handpieces to replace the fiber optics. I believe that the technology exists to power these LEDs off the spin of the turbine. This would not only eliminate the fiber optics but also bulbs and wires and all the things that fail and cost lots of money. I believe that a lubrication free chuck mechanism can be built and used in conjunction with the already fantastic lubrication free bearings. This would eliminate the need to lubricate the chuck of your lube free handpiece. It will be possible to make the handpiece cord and adapter lighter as well as the handpiece itself. This will lower hand and wrist strain. The head size of the handpiece is likely to stay about the size they are now. The side effects of smaller size are poor performance and reduce life expectancy. I believe that the competition for improved performance and durability will keep the heads from getting smaller than they currently are. It is exciting to watch the major players in handpiece design struggle to approach the ideal handpiece. 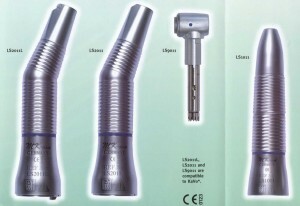 The W&H company currently is introducing a handpiece with LED lights. The Midwest people have something new called ATC ( Automatic Torque Control) which is billed as an electric / air hybrid. Each new design and new idea moves the art closer to our perfect design. I want to finish here with some ideas for you when you go shopping for handpieces and are tempted to try some of these new innovations. In many cases there is a trade off between a very desirable trait and a nuisance side effect. The quiet and high torque of the electrics are a good example. While these very desirable features have been worth the extra size and weight that comes with the package for almost everyone there have been some instances where the weight has proved too much to adapt to. The point is to be aware of the downsides and not to over look them when making your decision. My own nature tends to be fairly conservative. It took many years for my boys to pry my conventional screwdriver from my hand and force me to try a new fangled electric one. Unless you are the adventuresome type it doesn’t usually hurt to wait and see what the market has to say about the new innovation in a year. If you are watching your budget it is good to know about the maintenance costs in advance. It is a good idea to find out how often the new handpieces will break down and how much it will cost to fix them. Finally, feel free to give us a call if you have questions. We repair many handpieces each month and though we may not know which is exactly right for you we will be glad to tell you what we have seen and learned. Remind your staff to be conscious of squeaks and unusual noises in your chairs, lights and x-ray equipment. If caught early most problems are easy to fix. If they are ignored however you run the risk of needing expensive parts or the prospect of mechanical failure and possible injury to you, your staff, or a patient. Small changes like drifting arms can also signal a pending problem even if a squeak or noise is not present. Most light, x-ray, and unit arms rely on being level for stability. If they are drifting their attachment to the building may be failing. Better safe than sorry. Your office sterilizer is one of the key pieces of equipment in your office. Keeping it clean and in proper working order is a real challenge because of the constant stream of chemicals through its chamber as well as the constant range of temperatures through which it must operate. Here are some suggestions that will prolong the time you can use it before it has to come and visit me. #1 Thoroughly rinse, with water, all instruments after they have been in the ultrasonic cleaner before putting them in the sterilizer so as to minimize the amount of Ultrasonic Cleaner solution that gets into the chamber. Pay attention to items like syringe tips that may hold a volume of the ultrasonic solution and later release it during sterilization. #3 Be aware of the user maintainable filters in the chamber so you can make sure they are clean and in place. #4 Remove the trays and tray holder on a weekly basis and clean them with a scotch brite pad. If you use an SOS pad be sure to thoroughly rinse and inspect them for strands of steel wool before putting them back in the chamber. Visually inspect the chamber when the trays are out. Clean it if necessary but be cautious of the filters and sensors that hang into the chamber. Always mop out the water and cleaning solution and rinse with distilled water several times. #5 For your protection from infection liability be sure to run a spore test on a weekly basis. 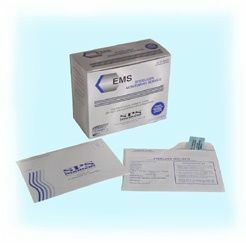 We have a very economical spore test system that is easy and gives the protection needed. We repair a lot of handpieces. One of the most common complaints with the highspeeds is that the bur is slipping from the chuck. This of course is annoying and dangerous. Often this occurs in relatively new turbines that would otherwise have a good deal of life left in them. I want to recommend that you put a drop of liquid oil into the hole where the bur is inserted on a weekly basis. The normal oiling procedures and even the machines like the Assistina or Quatrocare do not put oil into the actual chucking mechanism. Please note that even the “Oil Free” handpieces need to have their chucks oiled if they are to give you the maximum life. 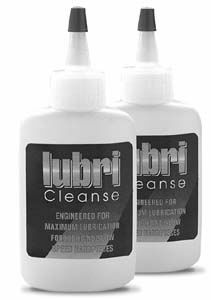 Our choice of liquid oil is the LubriCleanse synthetic. This oil has special properties that keep it from changing or deteriorating during sterilization. Several of my clients are putting in new electric handpiece systems and investing lots of money into the attachments that fit onto them. Most of these electric handpiece systems use attachments that are referred to as “E-type attachments”. Today I was in an office where two of their electric handpiece boxes were broken and not working. The doctor mentioned that it would sure be nice to be able to still use his attachments while the electric handpiece motor and box were being repaired. I found that many of you were not aware that there are air driven motors that will run those “E-type attachments” as well, albeit with less torque. In addition to the motors, we have several different vendors that have generic E-type attachments at a substantial discount over the name brand ones that you normally see. As an example, we can supply discounted attachments from Mk-Dent, Johnson-Promident, and NSK. Please call us for pricing and types that are available. 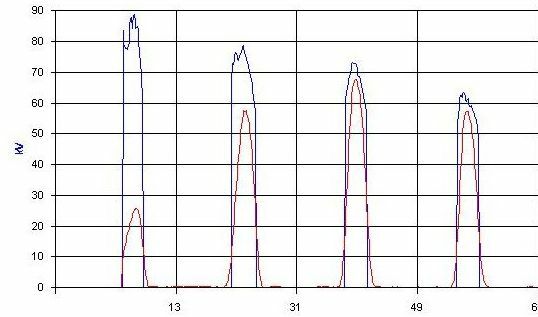 Step 1: Degassing – What is “degassing” and why is it important? ould be even and consistent. If the pattern is inconsistent and there are dead zones, then inconsistent cleaning can occur. Wet the frosted portion of a glass slide with tap water and draw an “X” with a No. 2 pencil from corner to corner of the frosted area. Making sure that the tank is filled to the fill line, immerse the frosted end of the slide into fresh cleaning solution. Turn on the ultrasonics. The lead “X” will begin to be removed almost immediately, and all lead should be removed within ten seconds. Cut three small pieces of aluminum foil about 4″ x 8″ each. Fold each piece over a rod that you will use to suspend the foil in the tank. A clothes hanger works well. Your cleaner should be filled with an ultrasonic cleaning solution, degassed, and brought up to normal operating temperature. 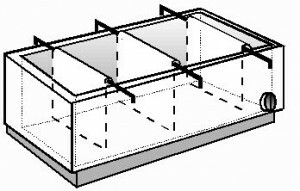 Suspend the first “square” in the center of the tank and the other two a couple of inches from each end of the tank. Make sure that the tank is filled to the fill line, and turn on the ultrasonics for about ten minutes. Remove the foil and inspect: All three pieces of aluminum foil should be perforated and wrinkled to about the same degree. How do I stop my saliva ejector tip from falling off? Strength: The tip is soft and molds to seal on almost any diameter of straw. Weakness: The tip can be bent to a point where it pops off of the valve. Strength: The solid metal body with internal o-ring works like a high volume evacuator valve and it does not have a rubber tip that can pop off. Weakness: Internal o-rings get worn out and need to be replaced. It does not work with all saliva ejector staws as some have an outside diameter that is too small to be held by the internal o-ring. So, my suggestion is to switch to the all metal body saliva ejector and switch to straws that work with the all metal body saliva ejector. The problem solved — No more tips falling off! NOTE: Both types of saliva ejectors that we offer are sterilizable and separable from the actual tubing. At the base of the saliva ejector valve is the rotatable pivot that reduces strain on your hand due to twisitng of the tubing and allows for this disconnection for sterilization. Today we completed installation of all of the operatory equipment for Dr. Darrin King’s new office in Faribault, MN location and he is now open for business. 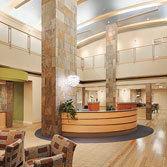 King Orthodontics actually consists of three office locations, Faribault, Owatonna, and Rochester. I am grateful to Dr. King for entrusting this project to us. I’m happy with the end results. The office has a large open ortho bay with Dexta chairs and units. I wish Dr. King and his staff well in their new location. How long can water sit in the bottle? Water in a bottle that has been treated with A-dec ICX is effective for a period of 14 days. Water in a bottle that has been treated with BluTab is effective for a period of 28 days. So this just means that bottles that have tablet disinfectants in them can be left on the delivery systems for that many days before they should be drained or replaced. If you are not using a tablet disinfectant in your bottle, all water should be drained out of the bottle at the end of each day. Even if you are using a disinfectant tablet in your water bottles, your unit will need to be periodically disinfected with a product like Mint-A-Kleen. If you are not using a tablet disinfectant in your clean water bottles then we recommend weekly disinfection of your delivery systems using Mint-A-Kleen. If your clean water bottle develops a musty smell, you may take a 1:10 mixture of bleach and put it into the water bottle, screw on a bottle cap, shake the bottle and then let it sit for a few minutes. Rinse the bottle thoroughly after this “cleansing procedure”. We DO NOT recommend that the bleach mixture be run through the delivery unit. Only an approved water line disinfectant such as Mint-A-Kleen should be used for that purpose. Today, Michael & Stephanie Sawyer and their staff opened the doors to their new office in Rochester. This was a Sullivan-Schein project headed by Shawn Bengtson and Sam Lyga. I am happy that Dr. Sawyer decided to go this way. The end product is absolutely stunning. The new office incorporates all Midmark cabinetry and operatory equipment. We moved over all of the Gendex 770 X-ray units and they have upgraded to all digital X-ray sensors and a new Gendex digital pan. I know that Mike has worked hard for many years and this new office is long overdue and very much deserved. I appreciate the continued use of my services for all of their repair needs. On September 25th, 2006 Southern Heights Dental Group moved into their new location. I wanted to take some time to congratulate them on this move and thank them for allowing me to supply and install the vacuum system that powers this large facility. 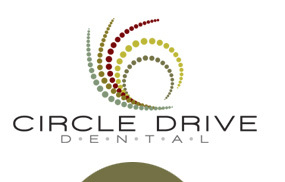 Southern Heights Dental Group’s website is available by clicking the image (above). You can see their new facility and the services that this group provides to their customers. Enjoy the new office guys! One of my clients calls me every couple of years and tells me, “Well Mike, I’ve acquired another office and I need you to come bid on the used equipment and haul it away.” The last time he called, I decided to ask him why it was that he was acquiring so many offices and never using any of the old equipment. He told me that he does not advertise… At all. He told me that he feels much better served, by putting his entire advertising budget into a “war chest” for future acquisitions. Once he finds an older docotor in his general area, he uses the advertising war chest to acquire the older doctor’s practice. He relies on me to deal with the old equipment and he pulls all of the patient load into his modern dental office. He likes the fact that many of the patients have gone without many “difficult” procedures that he can now provide. He grows his practice in definite leaps and bounds instead of hopeful scatter drift-in from advertising that may or may not be effective at all. He believes that this method is money well spent. Recently we have had some interesting developments relating to pan and ceph installations that have fixed exposure buttons outside in a hallway. Many of these remote exposure button locations are installed prior to our arrival by electricians who may not have any concept on where they should really be located. The other issue that we have run into is site planning that was completed by architects who had no regard for how the X-Ray machine works and what safe locations and distances need to be. Operator must be able to view the patient throughout the entire rotation. Ceph exposures should be optimally oriented so that the scatter radiation (Radiation that misses the cassette) should exit the building though an exterior wall or be knocked down by some type of lead shielding. There are several things that we can do to accomplish the above goals. If the operator’s remote exposure button is closer than 6 feet, we can install a coiled exposure cord at the present button location, allowing the operator to pick it up and step further away from the machine than 6 feet. Mirrors can be installed on walls to aid the operator’s visibility of the patient during exposure while still allowing for minimum safe distance. If the machine can not be relocated to allow for outside orientation of the ceph exposure, it may be necessary to install extra layers of sheetrock or install some type of lead curtain or shield to knock down the scatter radiation of the ceph. There is a company, Pacific Northwest X-Ray, Inc. that specializes in many types of lead curtains and shielding materials. 18430 – 5th Ave N.
The practice of Dr. Roland W. Pardun, DDS in Cochrane, WI is for sale. Please contact him for more information.